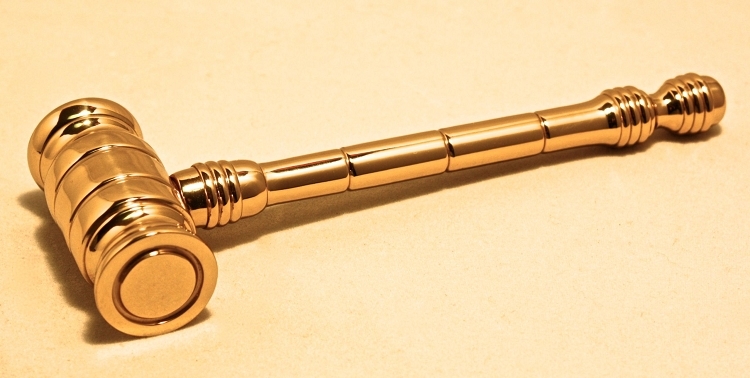 Cast of solid brass, the Gavel Paperweight makes the perfect executive gift. Whether you need to call the family to order or just need a classy paper weight this is it. 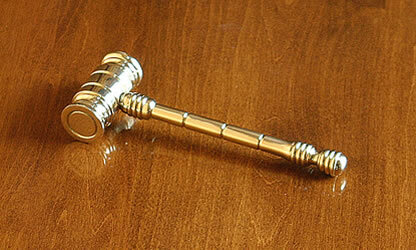 This lovely solid brass gavel paperweight measures 6-1/4" long and weighs 11 ounces. The brass is lacquered to keep it shining. Hand Hammered Brass Bowl, 10"